There's nothing more festive than Santa in his Sleigh with a sack full of pressies! 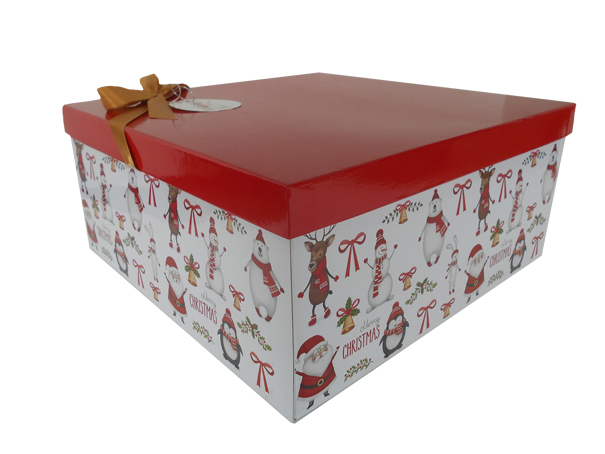 This vibrant, sturdy complete gift box kit comes packed flat but has a crash-lock base for quick and easy use. 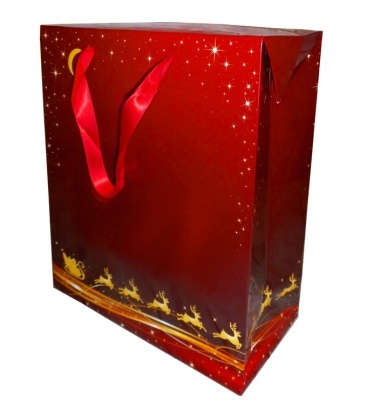 The box is made to be lower at the front of the sleigh and higher at the back, incorporating the lantern design. All displayed on a header card. Measurements of the inner box are 29cm x 18cm x 13cm high (front) x 19cm high (back), with the overall external measurements being 35cm x 29cm x 28cm high.